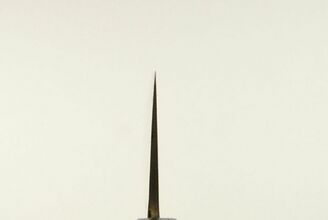 This rather unusual nakiri is constructed from Aogami 2 (Blue #2) high carbon steel. 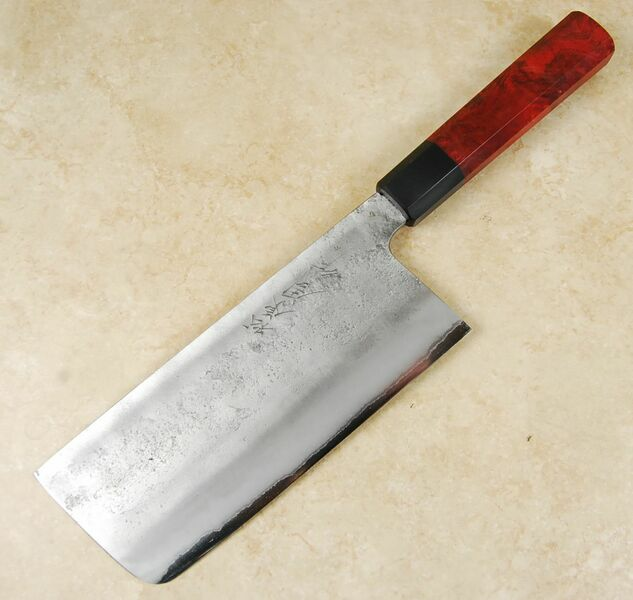 This is one of the most popular steels in the world of kitchen knives. The alloy is known for its outstanding edge life and overall toughness. Blue steels are a bit harder to sharpen than whites, which do cut better as they dull down. But the edge on blue steel is one of the longest lasting of the paper steels. This core steel is laminated in the san-mai style with a softer stainless steel which is given a lovely nashiji (pear skin) finish. This adds strength, reduces mass, and makes daily maintenance a breeze. 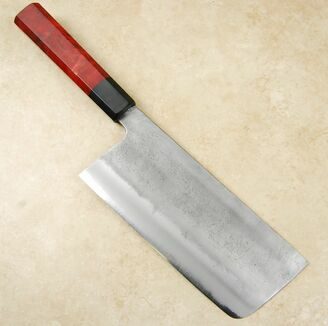 Looking like the offspring from an encounter between a cleaver and a nakiri, this unusual knife is a wonderful tool for almost every cutting and chopping duty in the kitchen. 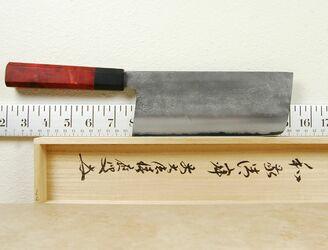 It is thin like a nakiri預ll the better for tackling hard vegetables that would split or cause the knife to wedge with thicker blades. But it is tall like a cleaver耀o tall ingredients, big hands, or a simple desire for a taller blade are addressed with this versatile shape. It makes food scooping a breeze, too. We are always on the lookout for unusual knives of all types and the Matsubara Blue #2 Nashiji Tall Nakiri certainly ticks all the unique boxes in our opinion. This was created as a result of our customer comments, so we hope it hits a chord with you. Note: You will receive the pictured knife not the video knife.